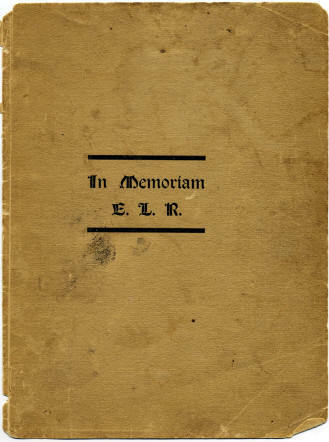 "In Memoriam E.L.R. ( Emma Lydia Rankin)"
D.H. Ramsey Library Special Collections, UNC Asheville. Description Two items are included in this collection. The first item is a small book of memoirs of Emma Lydia Rankin, a Caldwell County resident, who was born July 29,1838 and died February 28,1908 in Lenoir, in Caldwell County. The memoirs recount the experiences of the family in 1885, at the end of the Civil War. Emma Lydia Rankin was well-known as the Principal of the Kirkwood Home School for Girls near Lenoir, McDowell County, NC. The second item is a fragment of the Highland Messenger newspaper, vol. II, issue 15, 1841, a Whig paper that sought to provide news to the people of western North Carolina. It had a short run from 1840 until 1848 [?] when the last issue is recorded and it was succeeded by the Asheville Messenger, which persisted until 1852. Format Framed and mounted for display in the newspaper area of D.H. Ramsey Library, University of North Carolina at Asheville. Rights Any display, publication, or public use must credit the D.H. Ramsey Library, Special Collections, University of North Carolina at Asheville. Copyright retained by the creators of certain items in the collection, or their descendents, as stipulated by United States copyright law. 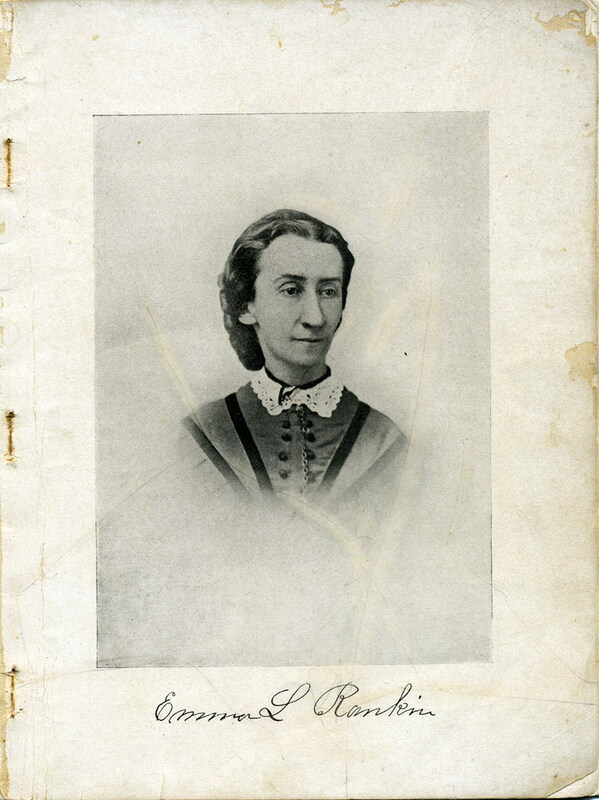 Portrait of Emma Lydia Rankin from "E.L.R. Memoirs"
rich_hm_000 Highland Messenger newspaper, Volume II, Issue 15, 1841. Published as: "The Messenger", July 22, 1842-Feb. 3, 1843. 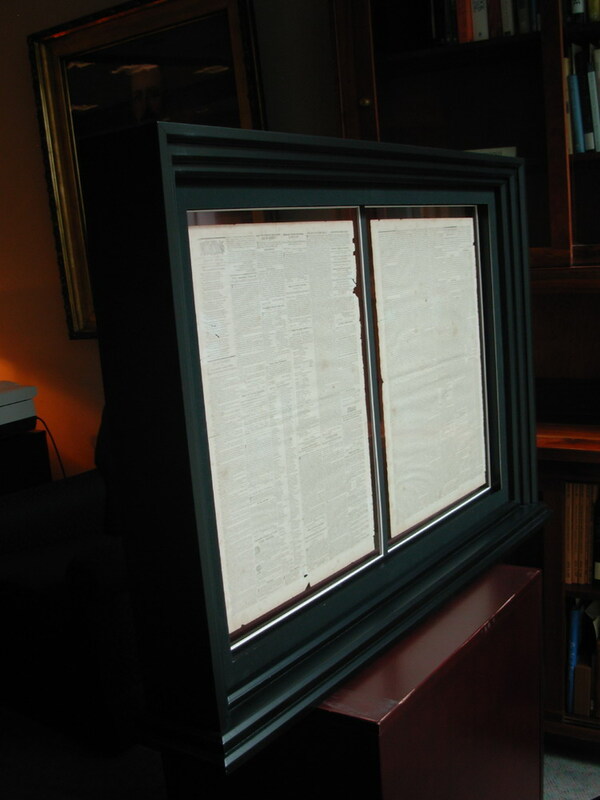 View of framed and mounted newspaper fragments.